The British Broadcasting Corporation (BBC) is the world’s largest broadcaster. Established in 1926, it operates under a Royal Charter which is reviewed every ten years. The current charter is valid until 2016 and, like its predecessors, charges the BBC with the provision of impartial public service broadcasting in the United Kingdom, the Channel Islands and the Isle of Man. The BBC is governed and overseen by a Trust (which replaced the old Board of Governors in 2007), with trustees being appointed by the monarch on the recommendation of the British government. The BBC Director-General – who is also chairman of the BBC’s Executive Board – is appointed by the Trust. The BBC Trust is accountable to British licence fee payers via four Audience Councils which are made up of members of the general public in England, Scotland, Wales and Northern Ireland. One of the Trust’s functions is to set editorial guidelines for the BBC as a whole. Domestic broadcasting is funded principally by an annual television licence fee charged by law to all British households, companies and organisations receiving live TV broadcasts. In 2011 the number of households in the UK stood at some 23.6 million. According to statistics published by the BBC in the third quarter of 2011, its television stations had an average weekly outreach to 85.6% of the UK population, with its main news reporting channels BBC1 and BBC2 having outreaches of 77.2% and 53.5% respectively. BBC radio stations had a total reach of 67.1% during the same period. The BBC’s internet portal – BBC Online – is another source of news for audiences both at home and abroad. It also supplies services to third parties such as mobile phone operators and during the third quarter of 2011 its average weekly reach stood at 41.6% of the UK population in general or 57% of British internet users – some 20.1 million people. Online services within the UK are partly funded by the licence fee, whilst the international edition is commercially funded. According to Alexa, 41% of BBC Online’s visitors come from the UK, where, at the time of writing, it ranked 5th for traffic and it is in the top fifty for overall global traffic. BBC World News (owned by BBC World News Ltd) is one of several commercial subsidiaries belonging to the BBC which are not funded by either the licence fee or UK government grants. It operates English language television and radio channels for foreign audiences and reaches some 74 million viewers weekly. 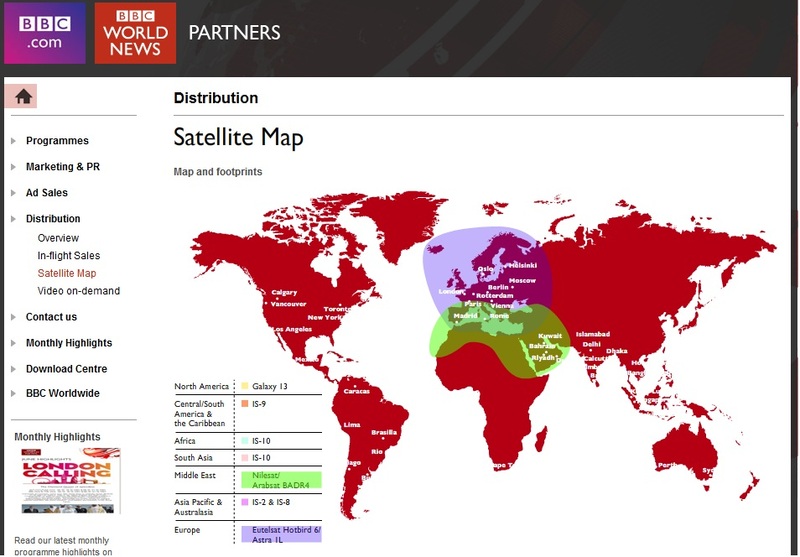 The BBC World Service broadcasts both in English and currently in some 27 foreign languages to around 180 million people a week outside the UK and 2 million within. BBC Arabic television, for example, reaches 13.5 million viewers per week. The World Service is currently funded by direct grants (‘Grant-in-Aid funding‘) from the Foreign and Commonwealth Office of the UK government, independent of the licence fee. However, under the terms of the 2010 governmental spending review, these arrangements are set to change in the near future and by 2014 the World Service will cease to be supported by government grants, instead becoming dependent upon licence fee funding. At present, the World Service’s objectives and targets are jointly defined by the BBC and the British Foreign Secretary and the UK government will retain involvement after the changes in funding, which will also bring about restructuring and other significant changes to the World Service. Currently, the BBC World Service, BBC World News and the international version of the online news service are operated by the BBC’s Global News division, which also controls BBC Monitoring (a global media tracking service currently funded by the FCO, but from 2013 also scheduled to be funded by the licence fee) and the BBC’s charities – BBC Media Action and BBC World Service Trust. Together with the BBC News division, the Global News division (both at present headed by Helen Boaden) operates some 40 bureaux worldwide and produces content viewed by some 241 million people in over 200 countries outside the UK.